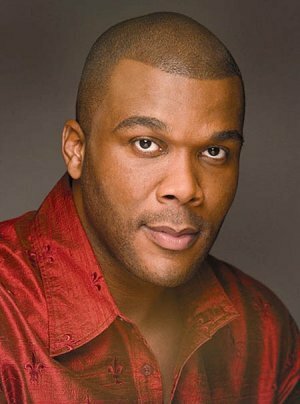 Tyler Perry’s path from the perilous streets of New Orleans to the heights of Hollywood is a unique and inspiring version of the American Dream. Born into poverty and raised in a household scarred by abuse, from a young age he found a way to summon the strength, faith and perseverance that would later form the foundation of his award-winning plays, films, books and TV show, House of Payne. Tyler credits a simple piece of advice from Oprah Winfrey for setting his meteoric rise in motion. Encouraged to keep a diary of his daily thoughts and experiences, he began writing a series of soul-searching letters to himself — reflections full of pain, forgiveness and, in time, a healing catharsis. Along the way, he spent a challenging period homeless, sleeping in seedy motels and in his car, but his faith in God and, in turn, in himself, only got stronger. Forging a powerful relationship with the church, he kept writing until his perseverance paid off, and the rest is history. KW: I love your work, and admire all that you’ve accomplished which always makes me wonder how your brain works differently from the rest of ours. TP: You know what I think it is? I just may be a little bit more inquisitive. For example, when someone tells me “No,” I ask “Why?” like I did with House of Payne which will be going into syndication on the 22nd of September. Originally, they told me that I had to shoot one show a week, because that’s how it’s done in Hollywood. But when I questioned that, nobody could tell me why. The same thing happened when they told me you could only shoot one movie per year. When I asked “Why?” nobody could give me an answer. So, I believe it’s the inquisitiveness which breeds everything else that comes along with it. I just ask a lot of questions. TP: I think it’s definitely going to appeal to my same audience. But do you know what I was doing? I was just telling a story. When I imagined the first two characters, I saw Alfre Woodard and Kathy Bates. And then when I started developing their relationships, all these kids came out of it. So, I didn’t set out to go mainstream with this film. That wasn’t my intention. This is just me telling a story. TP: I have, and nothing’s changed. Nothing’s changed. The only thing different is that people are being evicted from those FEMA trailers. TP: Yeah, “Can I pay for dinner?” Nobody ever asks me that. TP: Certainly, there are times when I feel fear, but I don’t live in it. I think as human beings we all feel fear, but I refuse to live in it. So, it doesn’t last very long. TP: Certainly, I’ve been disappointed a lot. But you take your disappointments and you learn from them. If you learn a lesson from them, then you’re okay, because as long as you’re human there will be disappointments. TP: Yeah, I can honestly say I’m truly, truly, dancing and living my life. And I think this film was my catharsis to getting there. TP: I haven’t read a book in a very, very long time, because when I’m writing I don’t like to see other people’s work. I don’t want to see something great and not be able to use it, and I don’t want to have any subconscious influences. So, it’s been an extremely long time. I think the last book I read might have been Maya Angelou’s Hallelujah! TP: Everything from Lee Ann Womack to Jay-Z’s 30’s the new 20. TP: That everyday is a gift. Life is short, so live it like it’s your last. TP: Thank you, my friend, and I’ll talk to you soon.